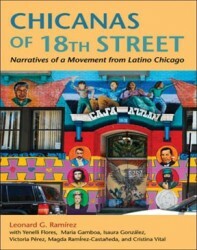 The National Museum of Mexican Art, 1852 W. 19th St, will host an evening with the authors of newly published Chicago’s Chicano Movement of the 1970s on Friday, Nov. 18. The event, which is free and open to the public, will give attendees a chance to talk with the authors and gain new insight to the movement. For more information, call 312-369-9294.